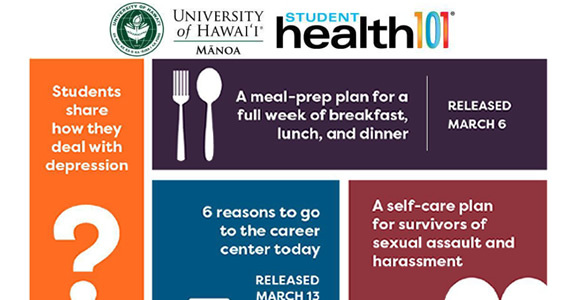 Student Health 101 - the online magazine just for UHM students. 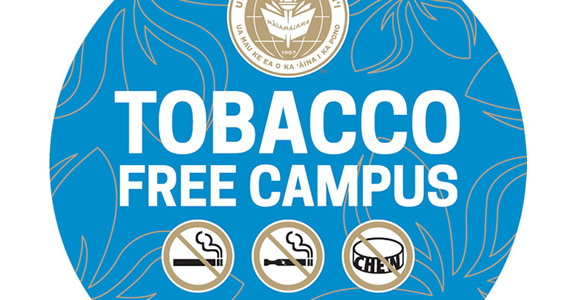 UH Mānoa is now a tobacco-free campus. Visit manoa.hawaii.edu/smokefree to learn more. Welcome message from the Vice Chancellor for Students. 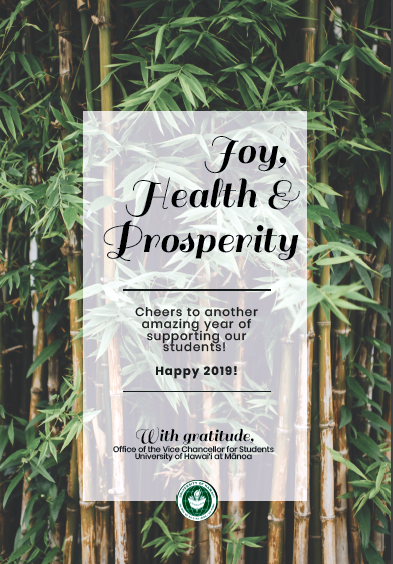 New Year, New Semester – Hello Spring 2019! Aloha wonderful students, faculty, and staff! I hope you all had a great winter break and are ready for another amazing semester filled with excitement and new opportunities for growth! I hope you all had the opportunity to relax, renew, and enjoy fellowship with family, friends, and loved ones during the well-deserved break. As always, the Office of Student Affairs is proud to offer a wide range of opportunities to enhance your classroom experience and to provide for countless lifelong memories. UH Mānoa has co-curricular activities and many other programs and services to support students in all aspects of their lives. Your health and success are very important to us and we are here to help you achieve your personal, academic, and professional goals. For more information about the Office of Student Affairs, please visit the following link: www.studentaffairs.manoa.hawaii.edu/about/. 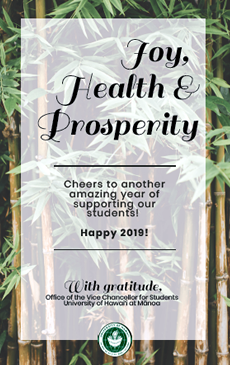 As we SPRING into 2019, I hope you have another great semester and a year filled with much joy, good health, and prosperity! Not sure where to go with your question or issue? Need help resolving a matter or finding your way around campus? 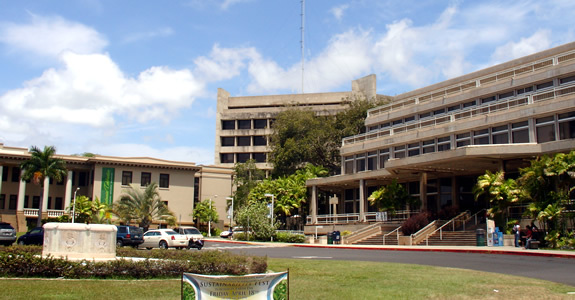 The UH Mānoa campusHELP office serves as a resource for all members of the campus community seeking information and assistance on campus-related questions and concerns. 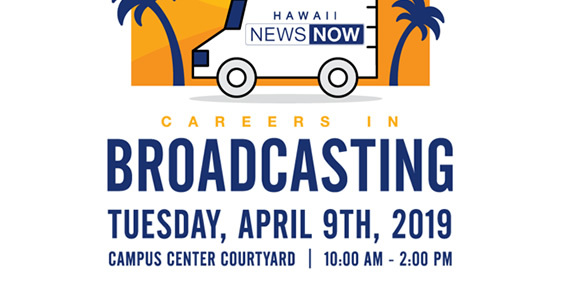 The office is located in Keller Hall 111 and can be reached at (808) 956-5000. The online magazine just for UHM students.